As ardent debates over creationism fill the front pages of newspapers, Genesis has never been more timely. And as Leon R. Kass shows in The Beginning of Wisdom, it's also timeless. Examining Genesis in a philosophical light, Kass presents it not as a story of what happened long ago, but as the enduring story of humanity itself. He asserts that the first half of Genesis contains insights about human nature that rival anything produced by the great philosophers. Kass here reads these first stories from Adam and Eve to the tower of Babel as a mirror for self-discovery that reveals truths about human reason, speech, freedom, sexual desire, pride, shame, anger, and death. Taking a step further in the second half of his book, Kass explores the struggles in Genesis to launch a new way of life that addresses mankind's morally ambiguous nature by promoting righteousness and holiness. 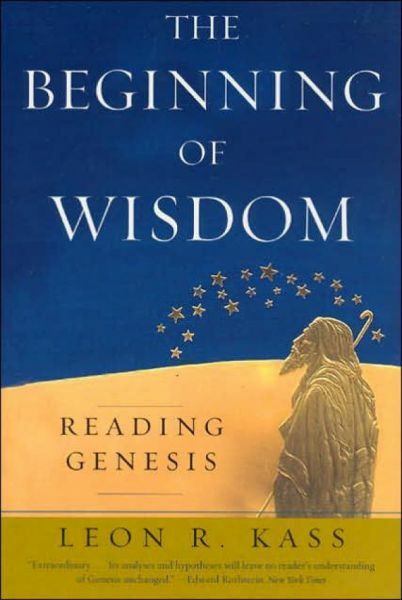 Even readers who don't agree with Kass's interpretations will find The Beginning of Wisdom a compelling book a masterful philosophical take on one of the world's seminal religious texts.